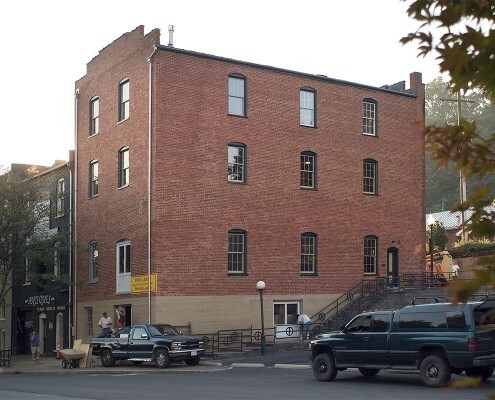 Hoy Brothers Feed Mill dates from the early 20th century and is located in the Wharf Historic District in downtown Staunton. 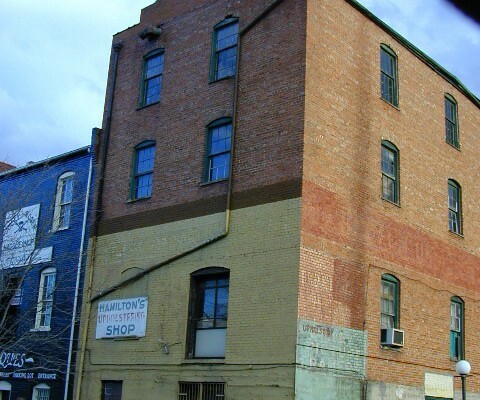 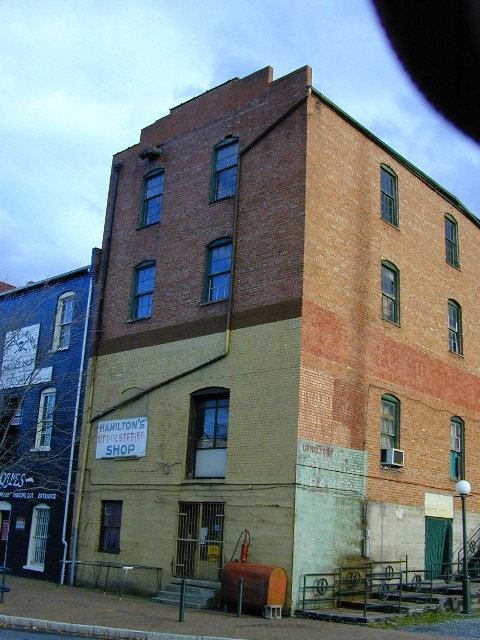 The four-story brick structure is at the end of a row of warehouses opposite the former C & O railroad station complex. 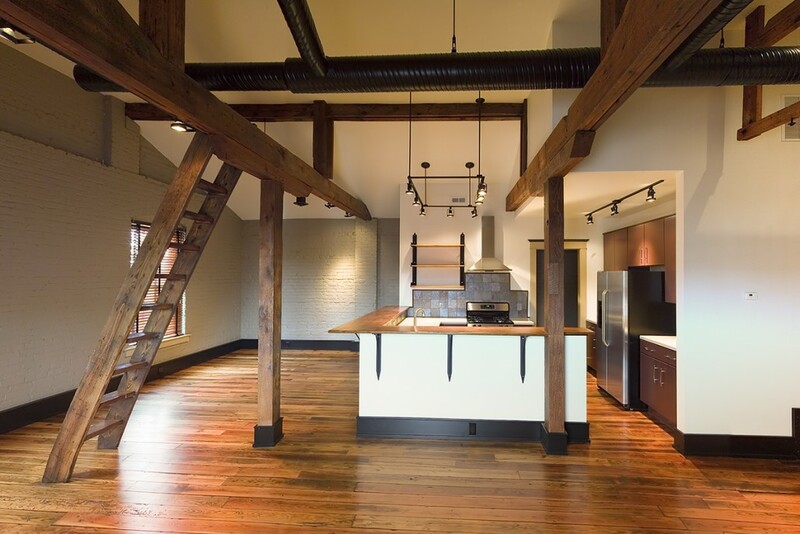 Frazier Associates provided full architectural services to adapt the warehouse into a new mixed-use project that includes two loft apartments and two retail spaces. 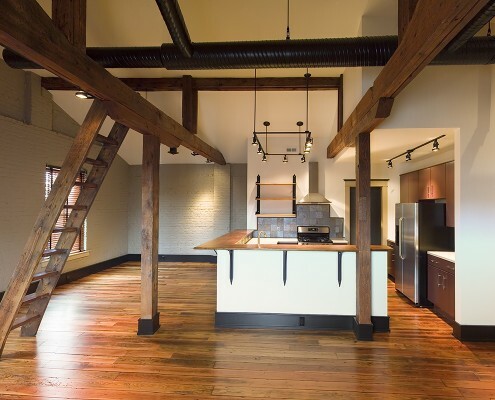 The lofts have an open plan organized around a custom kitchen but retain private bedroom and related living spaces. 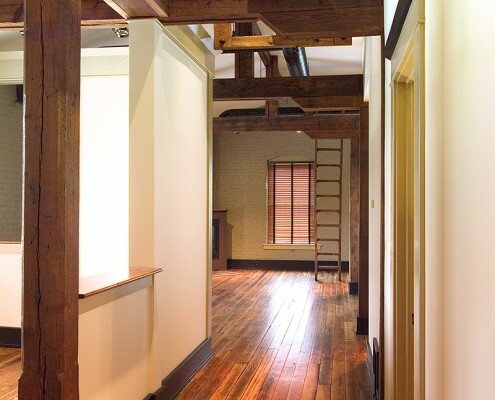 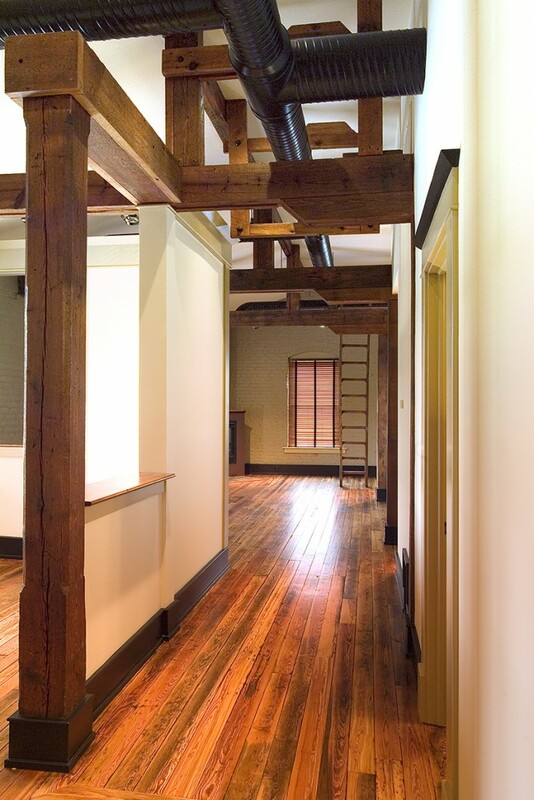 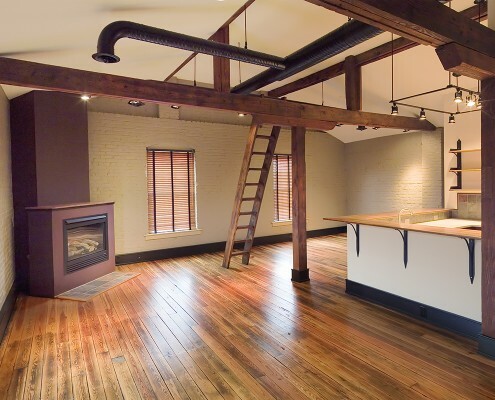 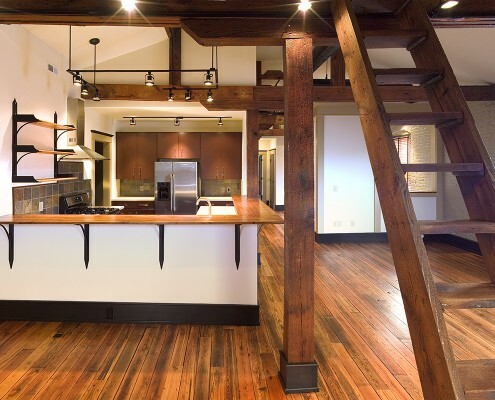 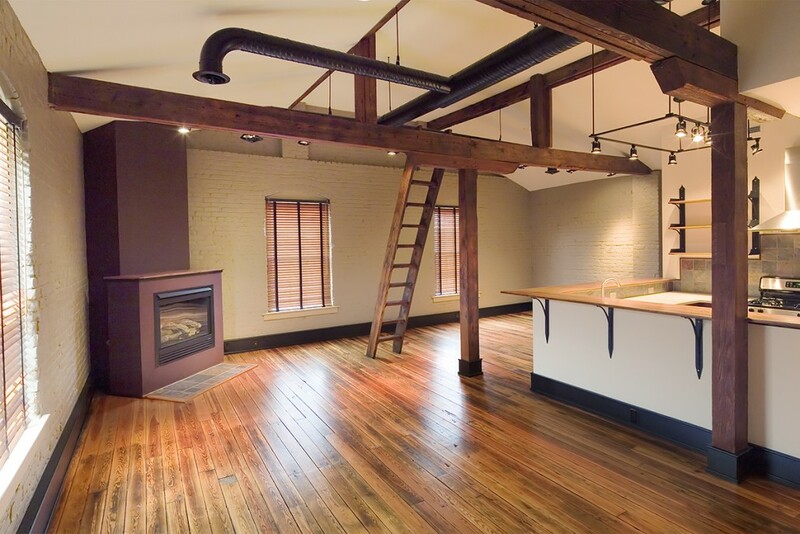 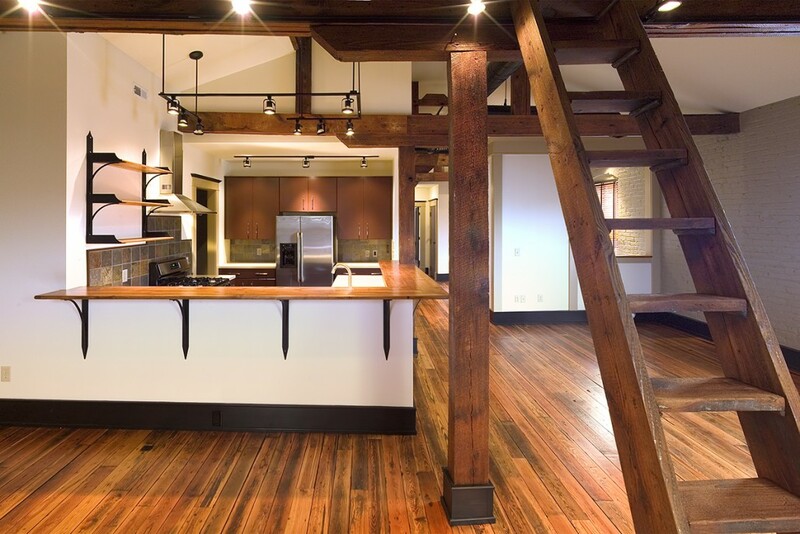 The original flooring, large wood beams and brick walls are retained in the design. 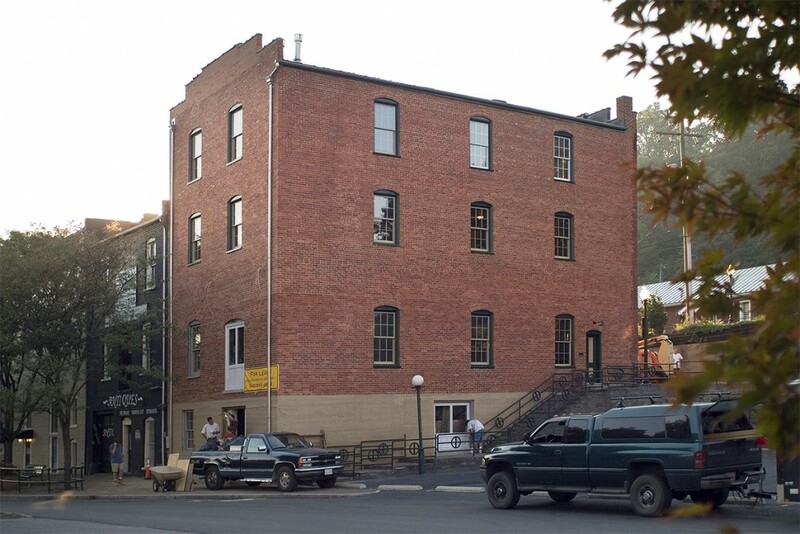 The project also used state and federal historic rehabilitation tax credits as a part of the financing package.